Elijah Streams: Watch! 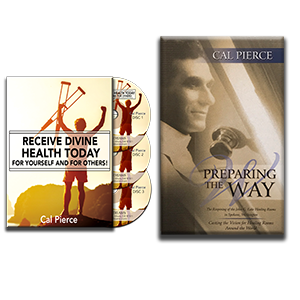 Cal Pierce Prophecy About How to Receive Divine Health Today for YOURSELF and FOR OTHERS! Watch! Cal Pierce Prophecy About How to Receive Divine Health Today for YOURSELF and FOR OTHERS! I'm so excited about this week's program with Cal Pierce, founder of THE HEALING ROOMS! Millions have heard about the famous Healing Rooms around the nation. Our guest on ELIJAH STREAMS is the founder and president of these amazing HEALING ROOMS. As you watch this, you'll be amazed at the behind the scenes story and you'll marvel at the supernatural activity of God that brought the Healing Rooms into being. • What it means to walk and stay in "divine health"
• Move toward success in the realm of faith. • Receive keys to shift into a greater move of God's power. • Have a much greater impact to change your world! To order Cal Pierce's products we've put exclusively together just for YOU that will help you grow further and deeper — CLICK HERE. 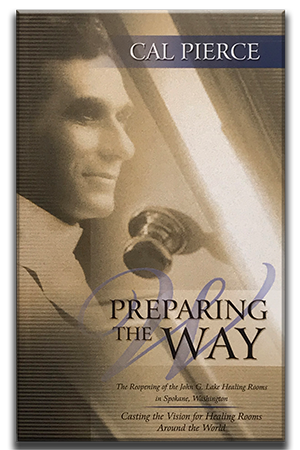 Cal Pierce’s book: “Preparing the Way” and 3-CD set—which will help you to receive healing for yourself and it will help you minister to others for their own divine health – from this day forward! In Cal Pierce’s new offer, he shares from his own testimony of God calling him to re-dig the wells of healing in Spokane, WA. Learn how God spoke to Cal about re-opening the wells dug by John G. Lake – then learn how GOD will speak to you concerning OPENING UP CLOSED WELLS NEAR YOU! Receive keys to shift into a greater move of God’s power. Find out what Cal prophesies the Church AND YOU — will be walking into — to have a much greater impact to change your world! Don’t miss out on this sensational package by Cal Pierce made exclusively just for you – our Elijah Streams viewers!